Andreas Campomar, publishing director at Constable (Hachette UK), has bought UK & Commonwealth rights, and Rolf Zettersten, Publisher of Center Street, (Hachette US) has bought North American rights, to To the Finish Line: A World Champion Triathlete’s Guide to Your Perfect Race by Chrissie Wellington with 220 Triathlon magazine from Jonathan Conway at Jonathan Conway Literary Agency. To the Finish Linewill give triathletes of all ages and abilities the chance to learn from a four-time World Ironman champion. Inspired by her regular columns for 220 Triathlon, the UK’s leading triathlon magazine published by Immediate Media Co., Chrissie offers advice on everything from planning your race season and fitting triathlon training into everyday life, to race nutrition strategy and coping with pre-race nerves, to exercising during pregnancy and how to budget for a triathlon. Drawing on Chrissie’s own training and race experiences – both good and bad – and packed full of extras, such as recipes, a typical weekly training programme and pearls of wisdom from some of Chrissie’s own advisors, To the Finish Line will be the triathlete’s ultimate go-to guide to achieving a perfect race. Chrissie Wellington OBE is an iconic figure in the history of British triathlon. 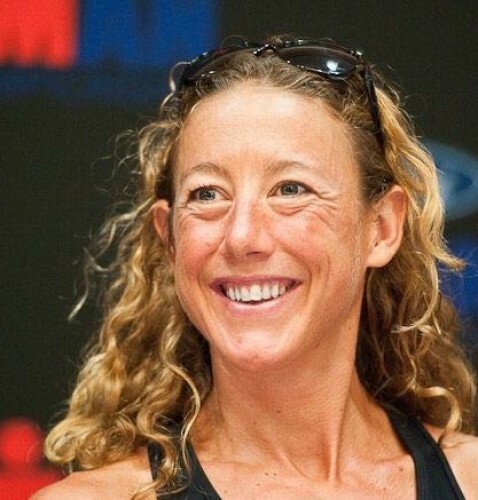 A four-time World Ironman champion, she also holds the Ironman world record and, over her professional career, remained undefeated at the Ironman distance. She was voted Sunday TimesSportswoman of the Year in 2010, and an OBE for services to sport and charity in 2015. Her 2012 memoir, A Life Without Limits, also published by Constable, was a No. 1 Sunday Timesbestseller.